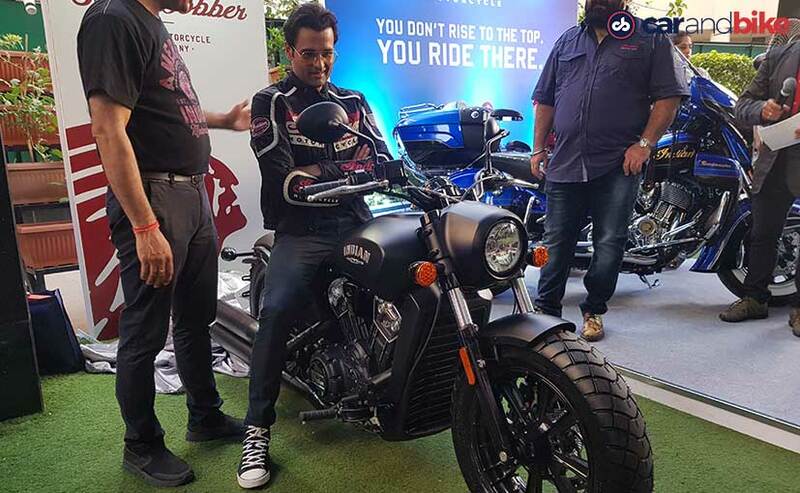 Actor Rohit Roy has traded his Honda Rune for the Indian Scout Bobber as he plans to ride more often and explore more parts of India on the saddle. Actor and motorcyclist Rohit Roy is the latest of the celebrities to take a premium motorcycle home. The actor took delivery of the Indian Scout Bobber cruiser at a special event in Mumbai, which joins his garage amidst several other exotic vehicles. Speaking to CarAndBike, Roy revealed that he had to let go of his prized and the very rare Honda Rune to make way for the Scout Bobber. But given the Indian motorcycle is a lot more versatile to ride, he should be spotted more often on the saddle. The Indian Scout Bobber is priced at ₹ 11.99 lakh (ex-showroom) and is brought to the country as a Completely Built Unit (CBU).